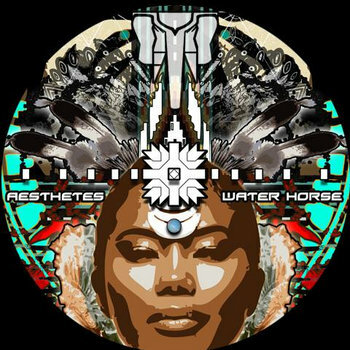 New album "Water Horse" available for free or pay what you like on bandcamp! Check out the latest collaboration from CelloJoe and Narayan from Zion. 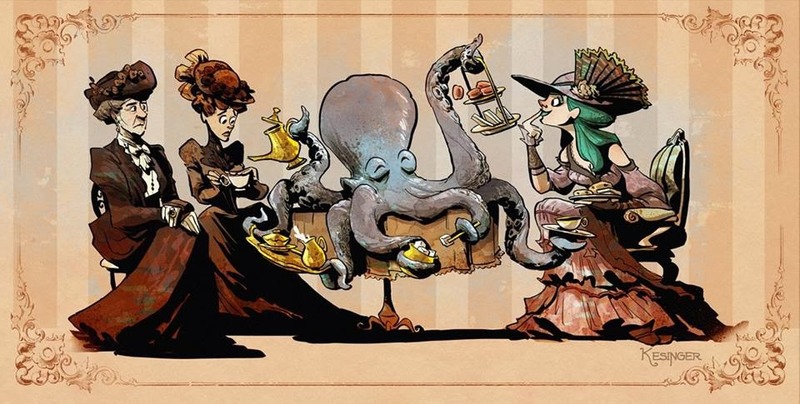 The duo is called Aesthetes. An aesthete is "a person who is appreciative of and sensitive to art and beauty." 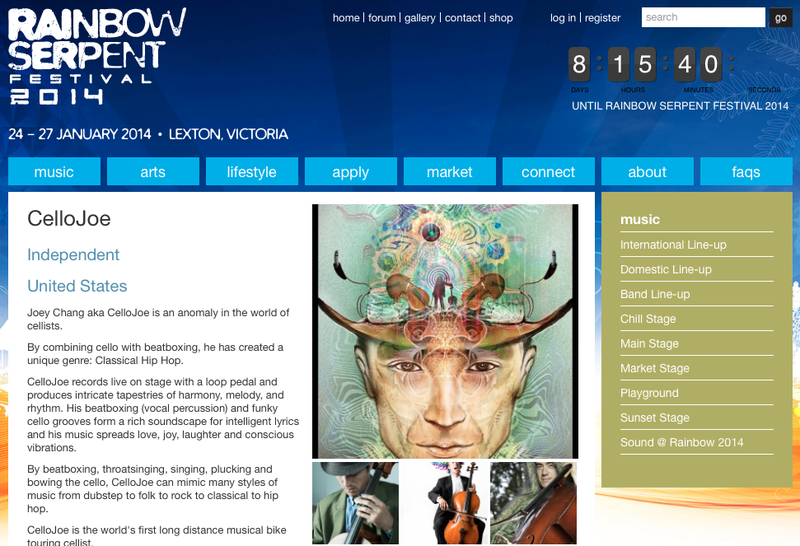 CelloJoe at Rainbow Serpent Festival this weekend! 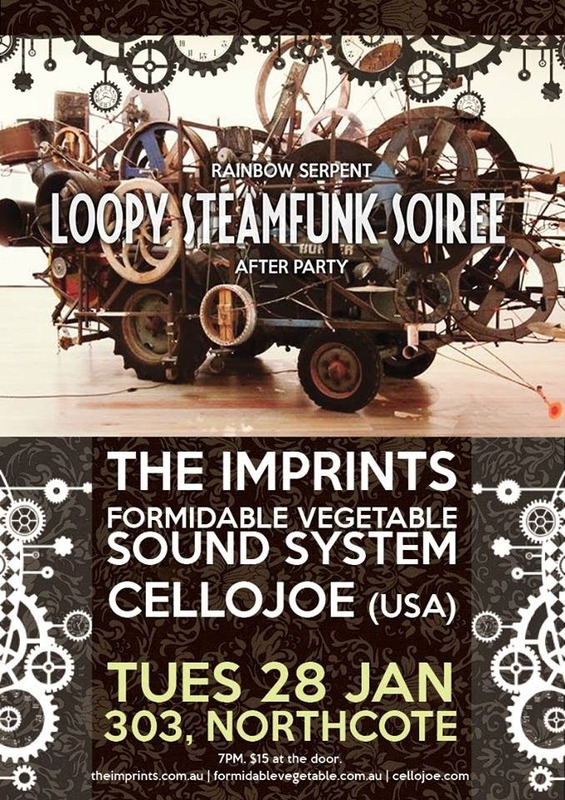 CelloJoe will be part of the Loopy SteamFunk Rainbow Serpent Afternoon Soiree @ The Playground! 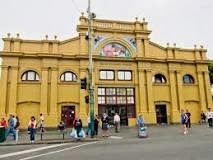 3:30 pm on Saturday and will perform again on Sunday at the Playground at 12:30 pm. 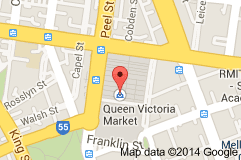 CelloJoe will also be playing at the Queen Victoria Market on Wednesday Jan 29th from 4-8 pm. Feb 1 at a secret Rainbow Serpent Afterparty! Doors at 7:30. Show at 8pm. 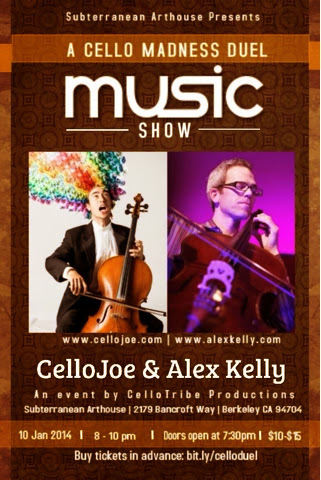 Two looping cellists. One beatboxing cellist. One with a PhD. Who will survive this duel? The only way to find out is to be there. Get advance tickets to guarantee your spot.